Sign up for the Five Spot Green Living Weekly newsletter! We send out the newsletter when there are five new posts on the blog. No more, no less. If you get an extra email from us, it’s only because we have something fabulous to share with you. 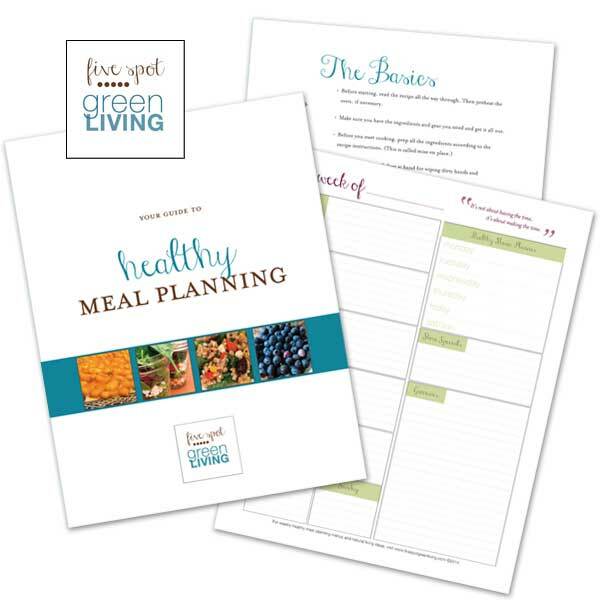 You will receive exclusive downloads for being a subscriber, starting with Your Guide to Healthy Meal Planning.